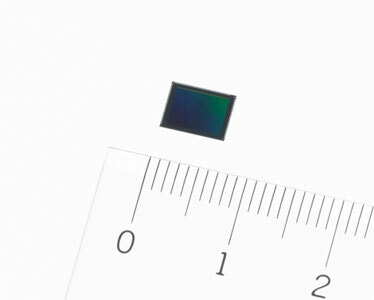 Sony has announced its brand new Exmor RS image sensor designed for smartphones - the IMX318. The Japanese tech giant touted the new camera chip to be the industry's first to comes with integrated hybrid autofocus and 3-axis electronic image stabilization. The IMX318 is a 1/2.6-inch stacked CMOS that has a maximum resolution of 22.5-megapixels (5488 x 4112) and the built-in hybrid autofocus technology boasting a focusing time of 0.03 seconds for stills and as fast as 0.017 seconds when recording 60 fps video. The 3-axis electronic image stabilization for video helps to reduce camera shake by making effectively use of the signal output received from the external 3-axis (pitch, yaw and roll) gyro sensor. The image stabilization is processed within the hardware of the image sensor itself, which consumed less power. In addition, the new stabilization technology also correct lens distortion. The new IMX318 features the industry's smallest unit pixel size at 1.0 μm, which is smaller than its predecessor - the IMX230. However, despite the smaller pixel size, Sony claims there's no drop in image quality from the IMX230 in low light conditions. Other features included 4K video recording at 30 fps, HDR imaging with RAW image format. 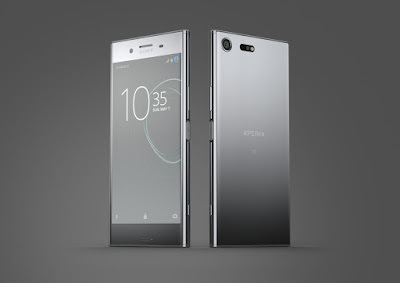 The Sony IMX318 is scheduled to be released in May and it's expected to pop up in high-end smartphones and other devices later this year.